If you're saving up for the future, you're on the right track. But where you put that money matters as much as how much you're able to put away each month. 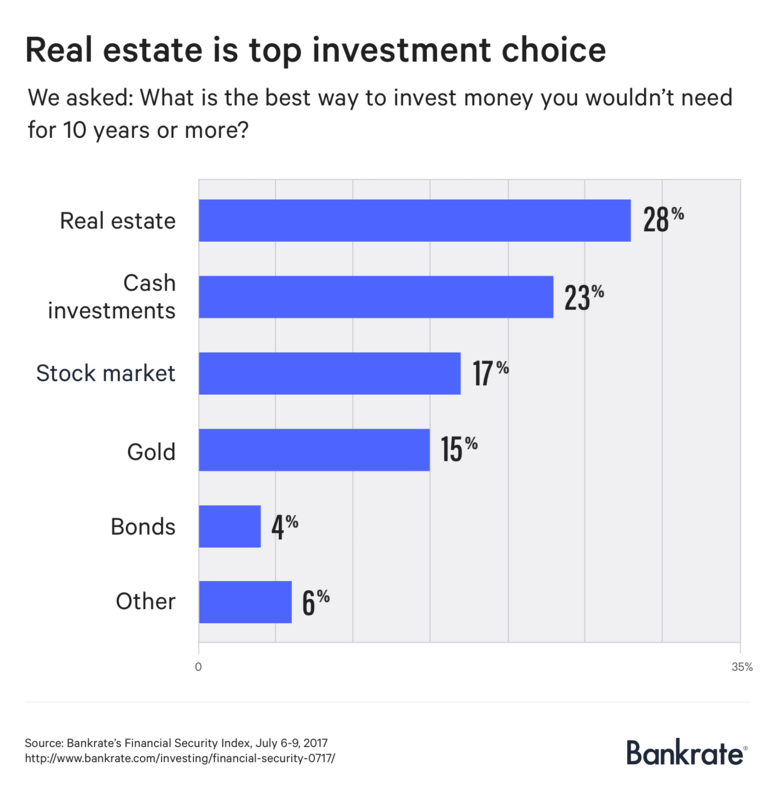 A new survey by Bankrate.com through Princeton Survey Research Associates International asked more than 1,000 Americans what they consider the best way to invest money they won't need for 10 or more years. The most popular answer, chosen by 28 percent of respondents, is to use it to buy real estate. However, just because something is popular doesn't mean it's wise. "The preferences for cash and real estate indicate that too many people are leaving money on the virtual table by failing to be sufficiently exposed to the stock market, where higher long-term returns are found," says Mark Hamrick, Bankrate.com's senior economic analyst. "This is especially the case for younger investors, who are in the best position to weather the inevitable short-term market volatility." High-yield savings accounts offer higher dividends that traditional ones — one percent returns versus 0.01 percent — but they aren't a replacement, either. 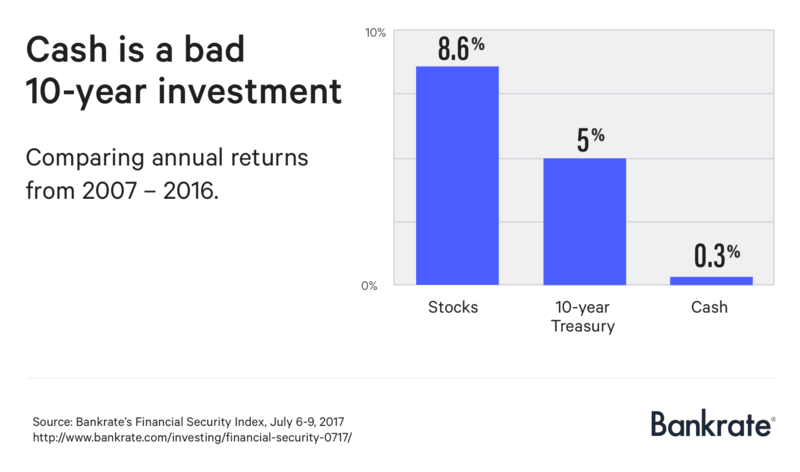 "Over the past 10 years, even including the financial crisis, stocks have returned an average of 8.6 percent per year," Bankrate reports. Of course, there's no guarantee how the market will perform in the future. Your returns will vary based on which accounts you choose, when you start investing and how much you contribute. But, if you have cash lying around that you're not going to touch for 10 years, you may want to try the method that has been offering the most reliable returns. And the earlier you invest, the better.